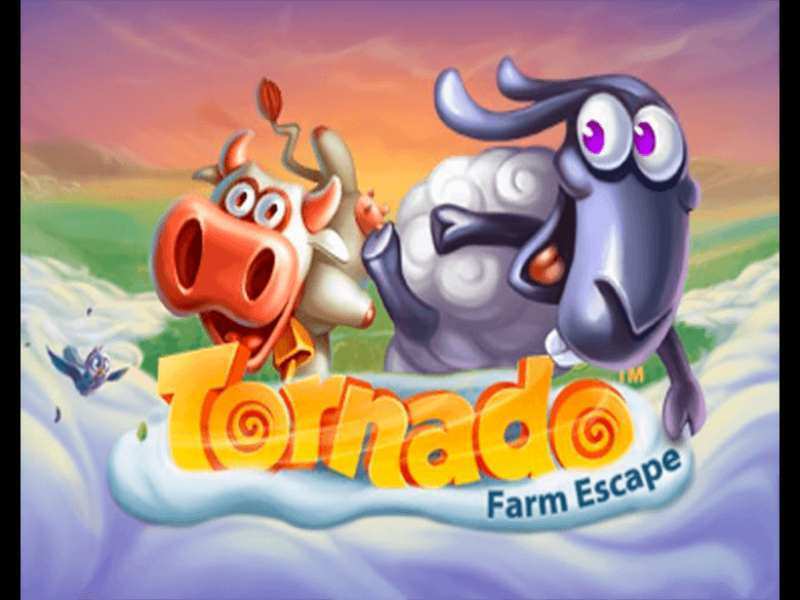 Enter the farm and watch cute 3D animals escaping the farm at Tornado Farm Escape from NetEnt. The game gets 5 reels, 3 rows, and 20 pay lines. The game is full of fun and has a lot of unique features that entertains players. The game opens with an opening trailer with a narration about the main game to follow. The game of online slots is available for players across the UK and other countries. The Tornado Farm Escape has bright graphics and farm animals animating the reels and making the game full of fun. The game is popular for more than one reason, and we shall look at more about the game and its rules here. As a famous gaming title from NETENT, the casino game is available free or even for real money. The game has Hot and Cold symbols that shall take you through and help you win more. The players can choose to do gambling by betting as little as 20p to as much as £200. The game is available on all mobile devices including Apple iOS and Android phones for the ease of every player who would be able to play online from anywhere. The game of Tornado Farm Escape gets two bonus features – The Tornado feature and the Storm Feature and both of these are rewarding. You can adjust the coin size from 0.01 to 1 as the minimum deposit to start the game. Once you make the deposit, just click on the Spin button in the center or directly go for Bet Max option and click on Auto Play button for the reels to spin. The game announces that it offers a cool jackpot of 167,000 coins, which is really a neat sum for any player. The red television is the Wild symbol and it can substitute all the other symbols except the Hot Symbol and the Cold symbol. The purple ram, the hen, the bar stool, the couch, and the boot are all the symbols that you would spot while playing the Tornado Farm Escape Slots. What happens at a quaint little farm when a storm or tornado strikes? Surely, this is the game’s fundamental idea and that is why both the Tornado and Storm features are equally justifying when it comes to being close to the theme. The game works magic right from the time it opens and the players all get to see the cute farm animals complaining of a boring life at the farm where they lack any activity. That is when the Tornado and Storms strike making things interesting not just for them but even for the players who are playing the Tornado Slot game. How to Win Tornado Farm Escape Online? Tornado feature: In order to start playing this feature, or activate this feature, the players would have to look out for the Hot and Cold symbols appearing on the first and fifth reels at the same time. This is when the Tornado starts and shall place a symbol on the second row at the center of the reel. This symbol will expand and take up all the other symbols and including all the Wild symbols and spin. During this feature, the reels will continue to spin till there are no more winning combinations left. Storm feature: This is another feature which will begin when a Storm gathers pace from the outer side of the reels and keeps on turning one symbol after the other in to a Wild symbol. After it spins its movement through the reels from one side to the other, it vanishes and fades out from the other side of the reel. During this time, there are increased chances of coming across Wilds. The best aspect of this game is that it has a lot of promise and it is enjoyable too for earning these bonuses and payout now and then. Unfortunately, there are no Free spins feature or bonus round specifically for the free spins. But that would not be a factor, since the game gets these two features which are by far quite unique. The game is quite similar to Blazin Buffalo slots. To conclude this review, we have to admit that the Tornado Farm Escape is a game where the focus is on giving theme-based action to the slot players. The gamers from around the world today, like these kinds of games where the theme is not too complicated and where the games are full of fun. When it comes to detailing and graphics, NetEnt has not missed its mark. This is one of the places where the company has scored highest. Overall, the Tornado Farm Escape game is a winner with RTP as high as 96.5%. 0 responses to "Tornado Slot"
2 How to Win Tornado Farm Escape Online?